Fr. Agustin Udias, SJ was born in Santander, Spain in 1935. He became a priest of the Society of Jesus in 1964 and holds doctorates in geophysics from Saint Louis University and Ciencias Físicas from Universidad Complutense de Madrid. He has served as Research Associate in Seismology at the University of California, Berkeley, Lecturer at the Wolfgang Goethe Universität, Frankfurt am Main, and Universidad Complutense de Madrid, and Associate Professor at the Universidad de Barcelona. 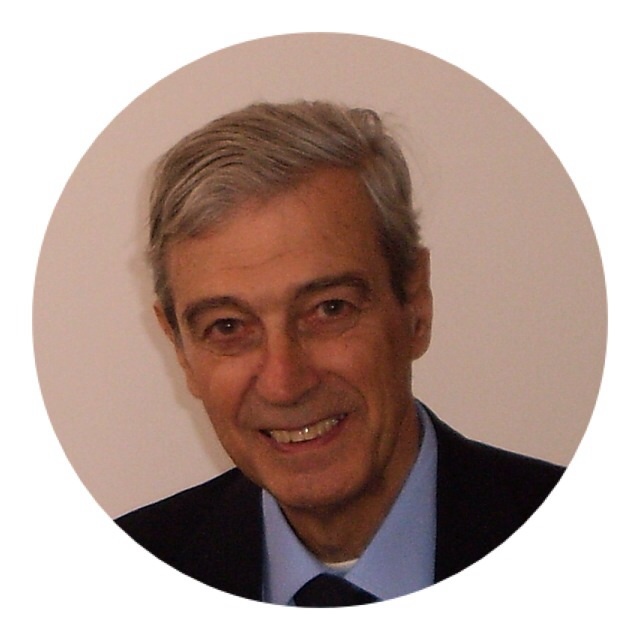 Since 1977 he has been Professor of Geophysics and since 2005 Professor Emeritus at the Universidad Complutense de Madrid. Fr. Udias is the author of Principles of Seismology (Cambridge University Press, 1999), El universo, la ciencia y Dios (PPC, Madrid,2001), Searching the Heavens and the Earth: The History of Jesuit Observatories (Kluwer, Dordrecht, 2003), Historia de la Física: De Arquímedes a Einstein (Síntesis, Madrid, 2004), and with J. Mezcua of Fundamentos de Geofísica (1 ed. Alhambra, 1985, 2. Ed. Alianza, Madrid, 1997). He has published articles on the topics of earthquake source mechanism, seismicity, and the seismotectonics of the Mediterranean region as well as on science and religion and on Teilhard de Chardin. Prof. Tangang is a Professor of Climatology at the National University of Malaysia. 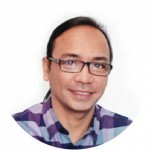 Prof. Tangang obtained a PhD from University of British Columbia, Canada in 1997, where he researched and developed a model to forecast the El Niño – Southern Oscillation (ENSO). Currently Prof. Tangang also serves as IPCC Working Group I Vice Chair. He is also a fellow at the Academy of Sciences Malaysia since 2011. Prof. Tangang has conducted numerous research projects where his primary research interests include climate variability and climate change. 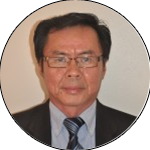 Prof. Tangang has also published numerous articles in high impact factors international journals. Currently, Prof. Tangang is the Project Leader of the Southeast Asia Regional Climate Downscaling (SEACLID)/ CORDEX Southeast Asia Project that involves 17 institutions from 13 countries. Prof. Mount is Professor Emeritus at the Department of Civil and Environmental Engineering in the Laboratory for Atmospheric Research of the Washington State University. He obtained his PhD in Astrogeophysics from the University of Colorado in 1975. He belongs to the American Geophysical Union, and is currently a member of the NSF NEON Project Advisory Committee and the NASA Standing Review Board for the Orbiting Carbon Observatory 2 and 3. Prof. Mount’s research interests include atmospheric spectroscopy for measurement of trace gases; spectroscopic instrumentation; tropospheric trace gas chemistry; atmospheric radiation and radiative transfer; and measurement of tropospheric trace gases from space. 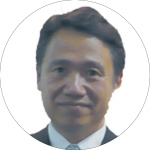 Masanobu Tsuji is the Director of Japan Aerospace Exploration Agency (JAXA) Bangkok Office. He is also currently the executive secretary of Asia-Pacific Region Space Agency Forum (APRSAF), of which the 22nd session will be held 1 to 4 December 2015 at Bali, Indonesia. He joined NASDA, former organization of JAXA in 1985 after getting a master degree in electronics and computer science from the Tokyo Institute of Technology. Before his position as Director of JAXA Bangkok Office, Mr. Tsuji was Manager for International Cooperation Promotion in JAXA. Prior to this, he was engaged in the development of data relay satellite and ground stations and research on Earth observation from space. His recent interest is to implement space technology for societal needs of emerging countries. 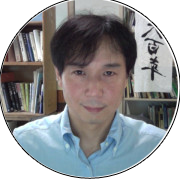 Akimasa Yoshikawa (Ph.D., Kyushu University) is an Associate Professor of Space Science at Kyushu University. In particular, he is an expert on magnetosphere-ionosphere coupling. He has authored and co-authored over 90 papers published in international journals. In May 2015, he received a Tanakadate Award by the Society of Geomagnetism and Earth, Planetary and Space Sciences (SGEPSS) in Japan. He was Co-Chair of the Scientific Organizing Committee and Chair of the Local Organizing Committee of the United Nations/Japan Workshop on Space Weather in March 2015. At present, he also holds a number of positions: (1) Principal Investigator of the MAGDAS (MAGnetic Data Acquisition System) Project; (2) Steering Committee member of the International Space Weather Initiative (ISWI); (3) Member of the Ultra Large Terrestrial International Magnetic Array (ULTIMA) Consortium of magnetometer networks worldwide; (4) Steering Committee member of SGEPSS; (5) Secretary General of the science board of Space and Planetary Science section of the Japan Geoscience Union (JpGU); (6) Editorial board member of the Earth, Planets and Space (EPS) journal; (7) Coordinator of the Japan Society for the Promotion of Science (JSPS) Core-to-Core program for Asia-Africa affairs (ISWI, MAGDAS, and other Capacity Building activities in Asia and Africa); and (8) Member of the Solar Terrestrial Physics Program (STPP) Sub-Committee under the International Subgroup of the Earth and Planetary Science Committee and of the World Data System (WDS) committee of information sciences of Science Council of Japan. As the Principal Investigator for the Air Force program on ionospheric research, Dr. Groves served to initiate and lead efforts to understand the impact of ionospheric disturbances on ground- and space-based radio systems. He has also demonstrated expertise initiating and managing research efforts both across organizational, agency and international domains. He is well known for the development of a global ground-based real-time scintillation monitoring network and associated assimilation algorithms that model scintillation behavior and produce tailored products for satellite communication users (SCINDA). That system is currently being transitioned to operational status by the Air Force Weather Agency. He has utilized the ALTAIR radar for numerous investigations to understand equatorial ionospheric irregularities and associated effects on radio wave propagation. 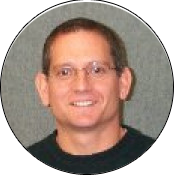 At Boston College his research interests include radio wave scintillations, high power HF ionospheric modification, wave-particle interactions, and space weather impacts on communication, navigation and surveillance systems. He has authored and co-authored more than 70 papers, made numerous contributed and invited presentations and is an internationally recognized expert in the field of ionospheric scintillations. Mr. Ishmael C. Narag is Supervising Science Research Specialist at the Seismological Observation and Earthquake Prediction Division of the Philippine Institute of Volcanology and Seismology (DOST-PHIVOLCS). He graduated with a Bachelor’s degree in Mathematics from the University of the Philippines. His fields of expertise include Seismology and Seismic Hazard Assessment, Numerical Modelling of Tsunami, and Earthquake and Tsunami Monitoring and Warning System.